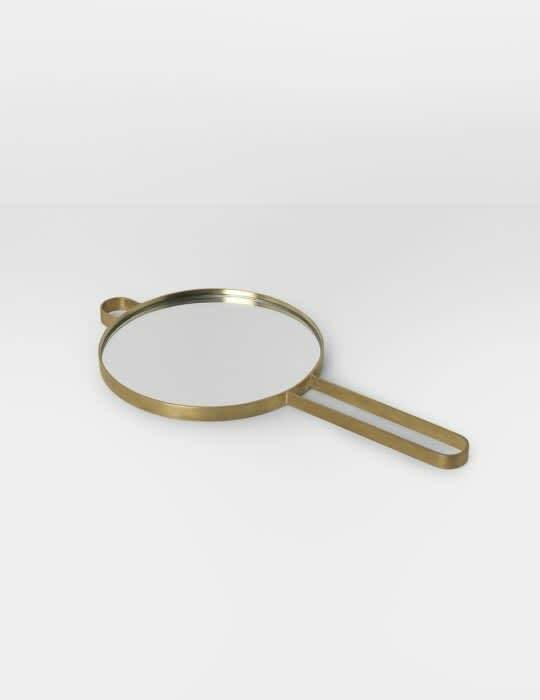 The Ferm Living Poise hand mirror brass is a hand mirror made of brass. Or it is a beautiful decorative mirror that can be hung on the wall in two ways. Also available in black.